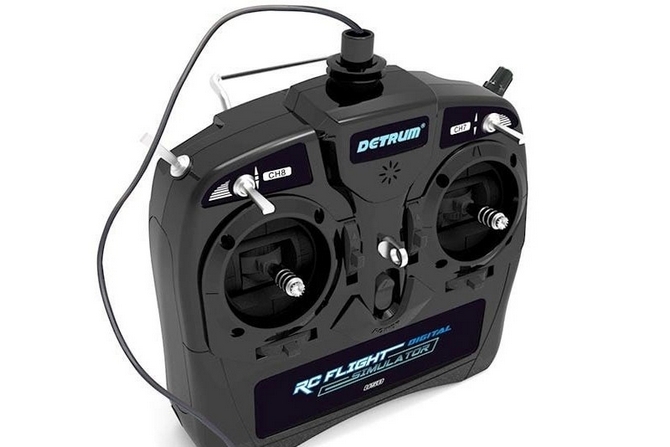 The Detrum 8-Channel R/C Flight Simulator is a great entry level R/C flight simulator to assist beginners by teaching them how to fly in the comfort of their home. Just one of the numerous advantages of using a RC flight simulator is that you can improve your stick skills without jeopardizing an actual aircraft. The flight dynamics in today's simulator software is impressively realistic which is an obvious benefit for those just starting out in the hobby. Easy Setup: Simply install the software (link below), plug in the accompanying radio into your computer's USB port and start flying! Saves Time and Money: Training yourself with a R/C flight simulator is a more practical approach to learning to fly R/C aircraft. 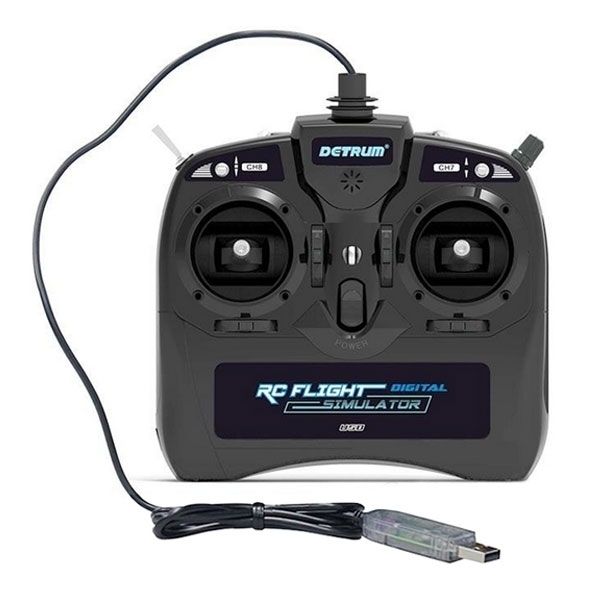 Before investing in actual RC aircraft, train yourself in the principles of R/C flight. This preparation can save you a great deal of time and money, which can lead to a long and enjoyable experience in the hobby. Please Note: ClearViewSE RC Flight Simulator Software (Free Download) - Click Here to download ClearViewSE.